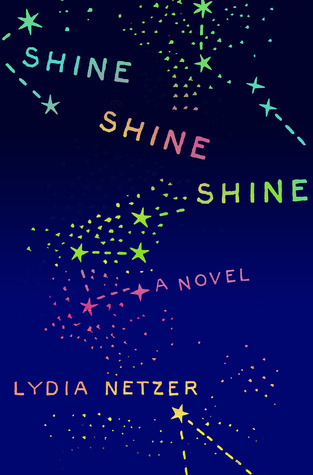 a book chick: "shine shine shine"
my take: it's interesting to think about if the authors you like to read read books you'd like as well....one of my favorites, joshilyn jackson, recommended this. she reads it for the audio version. i wish i'd imagined more of a southern accent for this as i read it ~ i would have liked it a bit better. mostly the problem for me was that i am in the middle of remodeling ... sleeping in the guest bedroom and not having space/presence/time to really get into it well enough. so i moved through it very slowly. too slowly. i never really caught the fun of it. what i liked about it ... crazy characters. wacky plot. my source: joshilyn jackson's blog via daughter anne; sister carey ~ who listened to the audio by jj and liked it a lot. my verdict: good. recommending you read it in bigger chunks. Did you buy this one? Sounds like I should have it on vacation with me here in the south... Could be getting a big chunk in! Maybe I can get Peter to listen to the audio on the drive home with me.